Special thanks to Chris Davis for the video presentation. 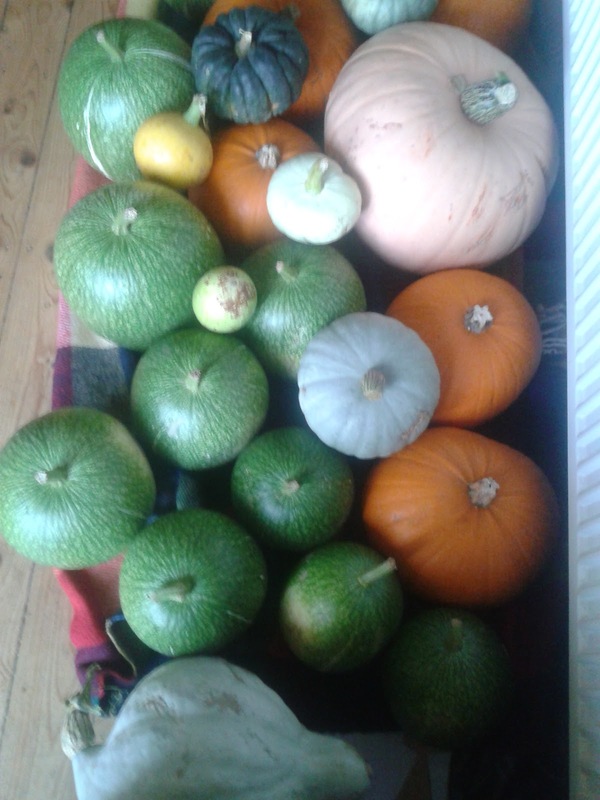 Here are some of the sample of pumpkin carving what's been going off today at the allotment. Everybody enjoyed the day from carving into pumpkins and doing the pumpkin activities there and tried food with pumpkin in them. The weather was cold but never rained for the day with the sun coming out in the sky. There's different form of shape and colour, which makes them look different and stands out quite well together too. A selection of delicious DIG IN squashes, pumpkins and shark fin melons.... all safely tucked away awaiting 2012 Pumpkin festival. Come and join us to celebrate and bring a pumpkin for the largest, best carved or most unusual competition categories. Thanks to The Co-operative for supporting our event this year with a supply of Pumpkins for carving on the day.see you on the 27th October 11-3. A warm, rain-free window in the weather, lots of fun, games and smiling faces (not forgetting the delicious apples, tasty food and recipes), made this year's Apple Day a great success. A big thank you to all the volunteers, event organisers and contributors who made this all possible. Here are one of the samples of the sun catches and the stepping stones what we did today at the Mosaic workshop today and loads of people enjoyed doing it,the weather stopped nice for us too. We used different colour tiles for the stepping stones and for the sun catcher we can use beads and other tiles and mirror for them.